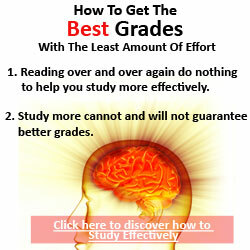 SecretsOfStudying.com is dedicated to describe any shortcuts, secrets and strategies that help students excel in schools. It is a frequently updated portal and newsletter, which provides news and articles to help you excel in studies in many ways you cannot possible imagine. To transform ordinary students to extraordinary. Spirit – We want our students to have the same empowering soul as us. We want them to be inspired to learn for life, to have the spirit in their eyes. Outshine – Besides sharing studying strategies, tips, and shortcuts, our main aim is to see our students outshine others. We want to see them successful in their lives and prove to us results. Strive – We expect our students to strive in their studies. we want to inculcate the value of “REAP WHAT YOU SOW”. George Tee is an entrepreneur who lives in Singapore. George is a great example of an ordinary student who turns into someone extraordinary. He was an average boy who often failed his exams, skipped classes and most of the teachers thought he couldn’t make it. But there was one part of his life when he was completely transformed. He began to excel in his studies and eventually became one of the top students in his college. He becomes a Neuro-Linguistic Programming (NLP) practitioner at the age of 19. Now he continues constantly improving himself in may ways – through self-development seminars, audio books, paperback books. 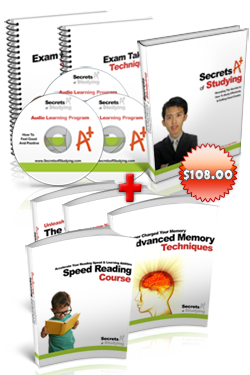 Currently, he devotes most of his time as an Internet entrepreneur applying all the accelerated learning techniques in his business for extremely fast growth. Joel is a guru in the area of self-improvement and learning strategies. He is now a highly paid speaker, marketing consultant, and author of many books and products. Hi please contact me as soon as possible.I need some motivation to study.